Teacher with two of her students. Designated in the original blue prints as the "Degree Room", for decades the El Paso Scottish Rite Theater was the unknown gem of El Paso theaters. Designed specifically for the conferral of the Ancient and Accepted Scottish Rite degrees, the theater has always managed to attract a wider audience. One story has it that in the 1930's, a man tuning his car radio received a weak broadcast from an amateur orchestra and was impressed enough to stop and listen. From the announcers dedication, he heard the group was performing in at the Scottish Rite Temple's theater, so he turned his car around, headed there, and recruited those musicians to play under his direction. 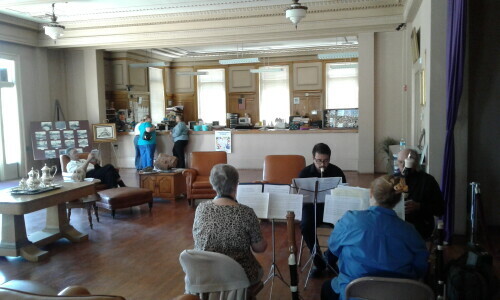 Thus was founded the El Paso Symphony Orchestra. 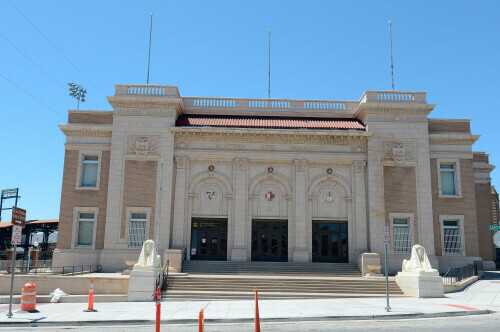 Predating the renowned El Paso Plaza Theater by seven years, The El Paso Scottish Rite Theater is among the oldest active theaters in the region and hosts a wide variety of events from the performing arts to weddings and conferences. 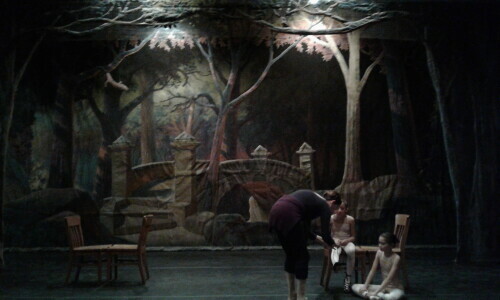 The Theaters Fly Gallery contains 80 drops capable of portraying 152 different scenes. The drops we have hanging today where installed in August of 1947 and are hand-painted. These drops are lowered and raised manually by rope from a catwalk above and to the left side of the stage. 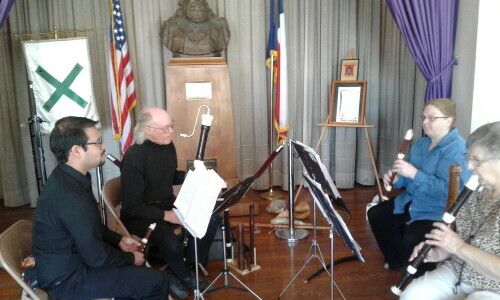 El Paso Scottish Rite - 2017 - Opening House - musician perform on the first floor. 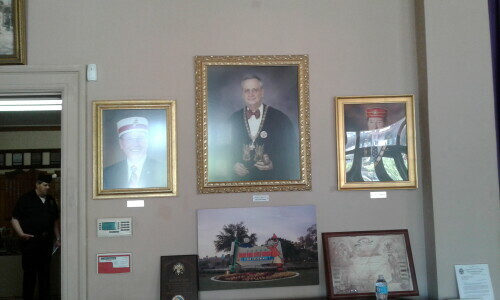 On the first floor of the El Paso Scottish Rite - some of its leaders are exhibited. 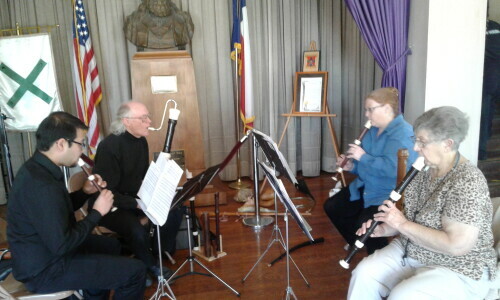 El Paso Scottish Rite - 2017 - Opening House - musicians perform on the first floor. 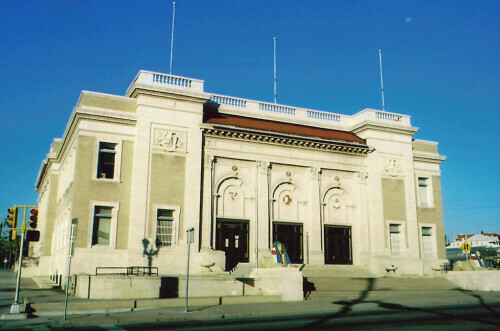 The El Paso Scottish Rite Temple was designed by Hubbell and Green of Dallas. Built as an Early Revival Style the building was completed in 1921. It is owned by the Scottish Rite Freemasonry. can women enter this building? Yes I'm sure they can enter this building. 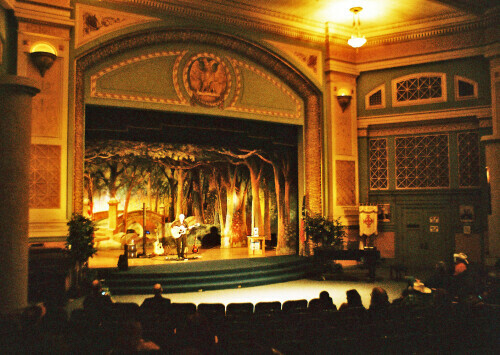 The image shows the interior of the Scottish Rite Temple during a performance of a guitarist. 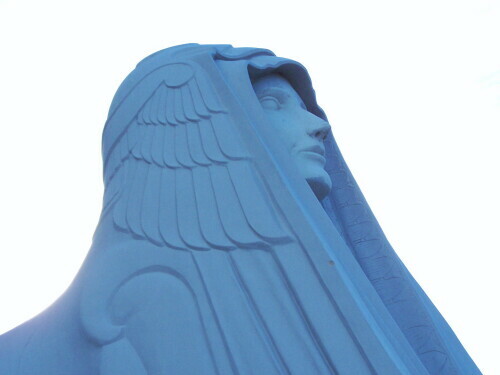 One of the sphinxes that guard the El Paso Scottish Rite Temple, 2006, before the statues were painted. 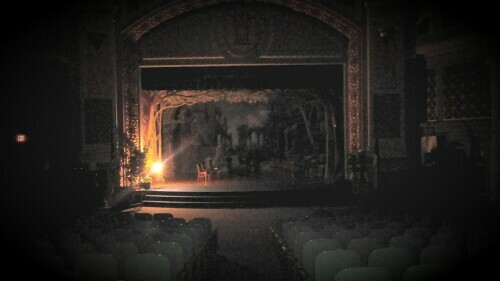 Theater located inside the El Paso Scottish Rite. Older than the Plaza Theater. Theater still being used for the original purpose and by original owners when built in 1921. One of two Sphinxes in front of the El Paso Scottish Rite in Downtown El Paso, Texas. 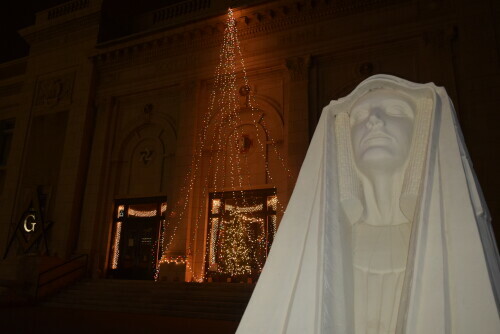 Photograph taken in December 2016 - after the traditional Holiday Lighting Ceremony at San Jacinto Plaza. The sphinxes that guard the entrance to the temple were cast in Perth Amboy, New Jersey, by the Federal-Seaboard Terra Cotta Company (which ceased to operate in 1968) and shipped to El Paso by truck. From start to finish, with the two sphinxes safely on their bases, took a period of 10 months, with final placement on September 26, 1966. Each sphinx is 10 feet long and weighs 4,000 pounds. The official dedication took place at the Scottish Rite Reunion on October 20, 1966. 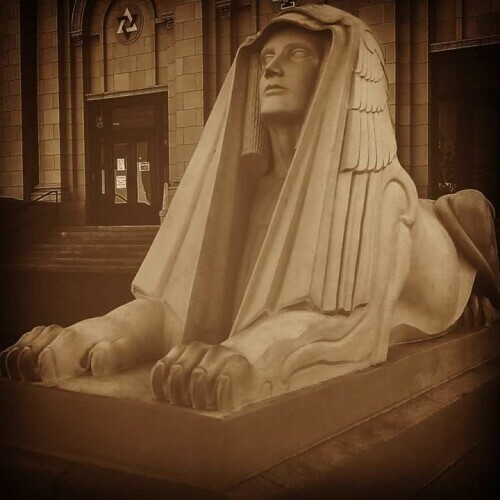 Of the nine Scottish Rite Bodies in Texas, El Paso was the first one to have sphinxes, and they subsequently arranged for a pair to be given by the El Paso Bodies to the Waco Consistory. 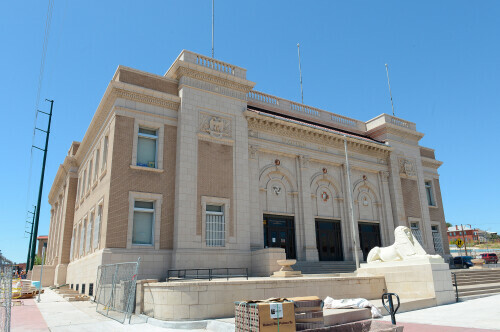 The El Paso Scottish Rite sphinxes are the largest single-cast terra cotta sculptures in the world. Terra Cotta is a clay-based, waterproof, fired, and unglazed ceramic. These were based on the sphinxes outside the Scottish Rite Temple in Washington, D.C. Neighborhood in downtown El Paso. Paso del Norte Bridge in El Paso, Texas. Paso del Norte Bridge, Border Highway intersects El Paso Street under bridge. De Soto Hotel can be found on E Mills Avenue 309. They can be reached at (915) 533-5595. 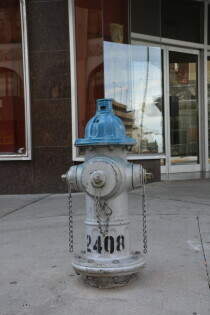 Fire Hydrant in downtown El Paso near Wells Fargo Bank. Subway Restaurant surrounded by buildings 105 N Stanton. Subway Restaurant surrounded by apartment buildings on 105 N Stanton Street in downtown El Paso, Texas. Martha's Cafe 104 S Stanton Street in downtown El Paso. Gas Meters outside building in downtown El Paso. Cleopatra Perfumes on 801 S Stanton Street in downtown El Paso. Cars driving over the bridge into Juarez, Mexico.